Oh no! Running out of space in your closet to store your clothes? Can’t invest in a walk-in wardrobe yet? Not to worry, with these 10 simple clothes storage hacks, you’ll be able to maximise every storage space you have. Add dividers to drawers: Maximise and organise drawer space by putting in dividers to separate items by your personal preference. 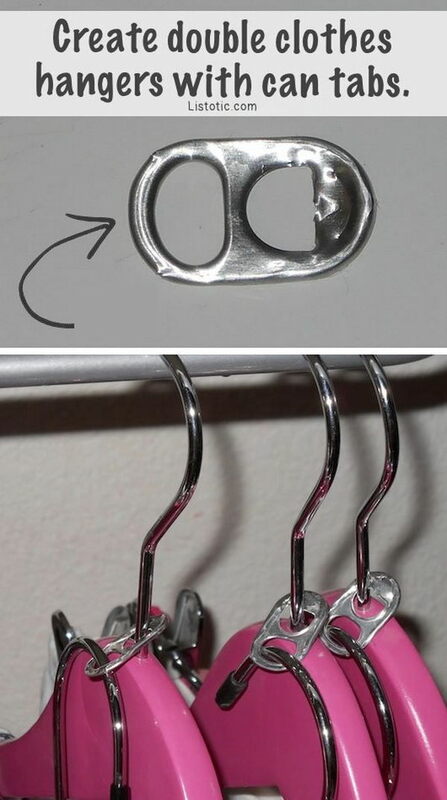 Use chains or soft drink can tops: Attach chains or soft drink tops to the top of the hanger to be able to triple your hanging space. Use shower ring hooks: Another great way to save and maximise hanging space is to use shower ring hooks. Clip these hooks onto trouser hangers to keep scarfs, tank tops, vests, anything with straps or anything that dangles, tidy. 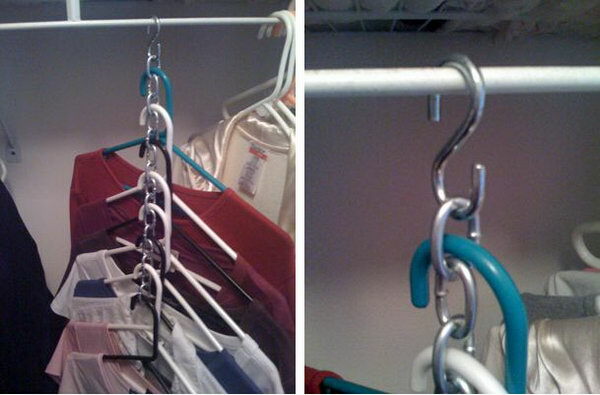 Have a clothes rod: If you already have a wardrobe with a built in clothes rod, why not install another one underneath? (If you have plenty of room that is!) Or install a clothes rod if your wardrobe doesn’t have one. 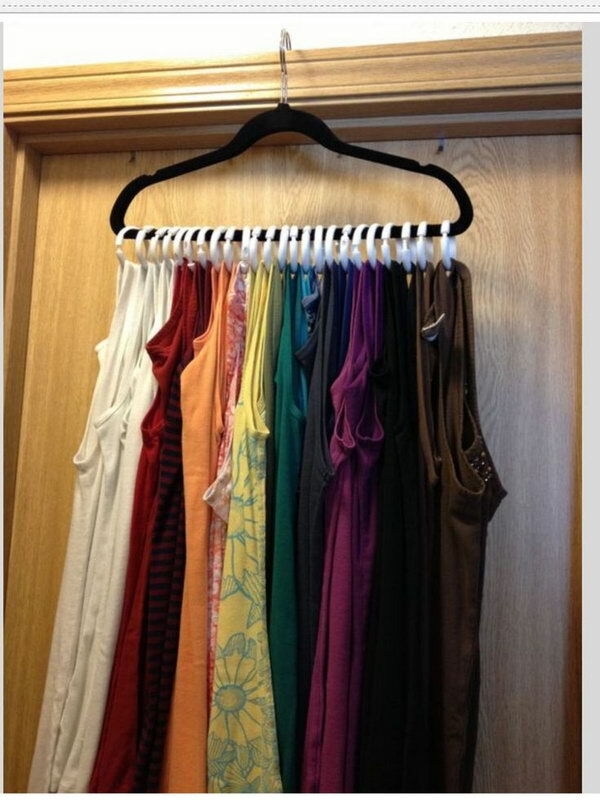 Again, it helps in saving space by hanging up your clothes! Storage under bed: A great way to keep things looking tidy and out of sight is to store items in a storage compartment underneath your bed! Invest in storage boxes that are made to fit underneath the bed or if you’re looking to buy a bed, buy one with built in storage. Use shelves: Shelves are a great option to store and show off items such as shoes, bags, hats and folded clothes etc. Tip: Use a big book shelf or floating shelves for a chic look. Use baskets: Store items such as PJ’s, sportswear and more, to keep space tidy and free of clutter. Put them on top of your wardrobe, in the corner of a room and even on a shelf. Say bye to old stuff: Clear out your unwanted or unused clothes because they are taking up way too much of the space that you need. Rummage through your closet and get rid of clothes you don’t want any more and clothes you haven’t used in 6 months- because why would you wear it now if you haven’t already in the last 6 months? Hanging organisers: Basically any organiser that hangs on to something. Whether it be a rack to put behind your door, on a wall, from the ceiling, these are great space usage. Got clothes you want to wash, fold or iron whilst scrimmaging through your wardrobe? Hand it over to Laundryheap so you can focus on creating more clothes storage space and making it look pretty! Categories: Hacks, Tips and Guides | Tags: clothes, hack, lifestyle, storage, storage hacks | Permalink.